America is in the hands of the black robes (supreme court) again. Even though black robes do not run this country, because we supposedly have elected officials. However, every major decision as of late has been decided by these black robes. 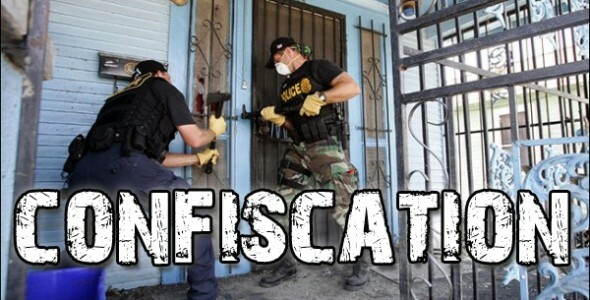 Gun confiscation is a real threat, such of which will happen all across this country shortly, as of now it is all hanging in the balance of yet another court decision. On Monday, the Court of Appeals for the Second U.S. Circuit issued a long awaited decision on the constitutionality of the most drastic gun control law in U.S. history, the New York SAFE Act of 2013. The Second Circuit ruled that nearly all of the law does not violate the Second Amendment. The SAFE (“Secure Ammunition and Firearms Enforcement”) Act was presented to the New York State Senate and passed into law in 15 minutes. No debate was allowed, and senators did not have time to read the bill before voting it into law. The SAFE Act is a complete ban on the sale or transfer of all military-style semi-automatic rifles manufactured within the past several decades. It is a total ban on the AR-15, AK-47, M-14/M-1a, HK G3, Steyr AUG, and many other civilian copies of military firearms. Prior to the passage of the law, Gov. Cuomo publicly stated that he was considering “confiscation” of existing rifles, but the final version of the law allowed existing owners to keep their rifles as long as they registered them with the State. Upon the death of the owner, the rifle will be confiscated; it cannot be transferred to an heir within New York State. Expose EVIL! It cannot survive in the LIGHT! Keep up the work brother! Fight the fight and truth will win in the end! !